You say that putting 61 Metal Bands on a luxury cruise ship is complete OVERKILL? We don’t care what you say! This is 70000TONS OF METAL! 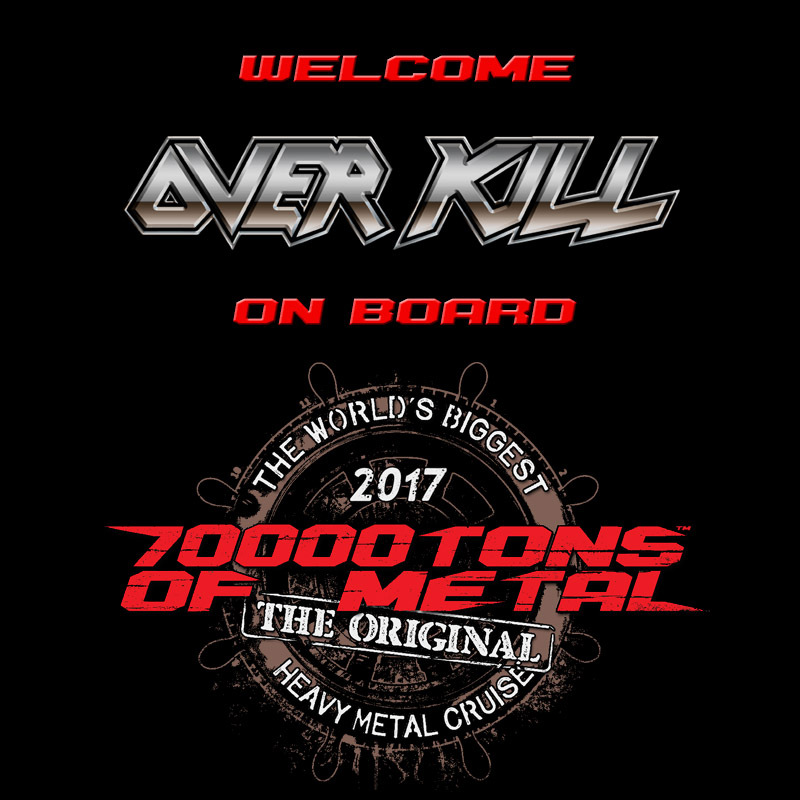 As a very special treat you can get the upcoming OVERKILL album “The Grinding Wheel” on board before anyone in the Universe can even buy it. That’s the stuff that only happens on 70000TONS OF METAL, The Original, The World’s Biggest Heavy Metal Cruise. We wish all you sailors a save trip from wherever you’re coming around the globe. See you on board in 5 days!